Do not chew on hard, sticky or chewy foods for at least 24 hours. Never chew on ice. Avoid aggressive chewing and sticky foods such as “hard tack” candies that can loosen or damage a restoration. 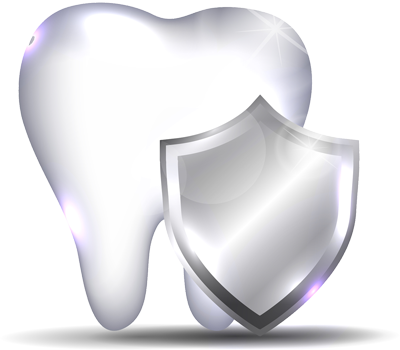 Carefully follow all guidelines provided by the doctor and their staff and most importantly practice good oral hygiene. Additional instructions following various types of treatment are listed below. Please click on the below topics for detailed instructions. In the event of an emergency, please call our office. If you are experiencing a serious or life threatening emergency, please call 911 or visit the nearest emergency room. Crowns and Bridges may take one to three visits to complete. The dentist will inform you of your treatment options and the time needed to complete the procedure. You may have some sensitivity following treatment with tenderness around the gum and tooth for a day or two. If the tenderness or sensitivity lasts longer than this please contact our office. If anesthesia is used, avoid chewing, biting, and eating until the numbness has worn off. If you have a temporary placed, eat softer foods and avoid foods that are particularly crunchy, chewy or hard. If the temporary restorations become loose or break, please call us immediately. Once your final restoration has been placed, avoid chewing on hard, crunchy or sticky foods for 24 hours in order to give time for the cement to fully bond. Mild sensitivity to hot or cold foods is not unusual and should dissipate after a few weeks. If sensitivity lasts more than six weeks please let the office know, although this happens infrequently. Tenderness in the treated area can last anywhere from 7-10 days. Sensitivity to cold and heat, as well as any soreness, shouldn’t last more than a few days, but in some cases sensitivity can last from 2-200 days. Please call our office if you have any concerns or experience pain or discomfort for more than a few days. You may have discomfort for a few days after receiving your final dentures or partials. Dentures and partials will often need several adjustments in order to fit comfortably. To help adjust to your dentures, you can practice reading aloud for a little while each day. At night, you should remove your dentures and clean them. They should be stored in a clean container filled with denture cleaning solution. Dentures should be removed for at least 6 hours a day to give your mouth and gums time to rest. Food particles can become trapped under dentures causing inflammation or sore spots. Brush the roof of your mouth, your tongue and lightly brush your gums after removing your dentures. You can take ibuprofen or acetaminophen according to the instructions on the label or those provided by your doctor as needed. A warm salt water rinse, approximately one teaspoon in an eight ounce glass of water, three times a day can be helpful. Brush and floss normally following a deep cleaning. You may find applying an ice pack to the affected area helpful. Please do not apply ice directly to the skin; have a cloth between the ice and skin at all times. You may apply the ice for up to 20 minutes on and 20 minutes off for the next 6-8 hours as needed. It is rare for a temporary filling to fall out, although it may divot while in use. If the temporary falls out, please contact your general dentist as soon as possible. If your temporary falls out after office hours you may purchase some temporary filling material from most pharmacies and follow the included instructions. While flare-ups are rare, they occur in about 5% of the cases and cause significant pain. They occur with teeth that are extremely irritated and/or infected or with teeth that have a history of prior treatment. These sometimes occur randomly, even on patients that have had root canals done in the past without problems. If you have a flare-up, you may experience moderate to severe pain, swelling, throbbing or general discomfort; please contact our office. You may be prescribed additional medication such as antibiotics and/or you may be asked to come to the office for further treatment. Should you experience any of these symptoms, please contact the office, even after hours. Swelling around the face, eyes and surgical site is not uncommon. This swelling may not appear until the day following the surgery and may become more noticeable two to three days following surgery. You can help to minimize the swelling by applying a cold compress on the face near the extraction site alternating on for 20 minutes then off for 20 minutes. After 36 hours, the ice will have no further impact on swelling. After this period, the application of moist heat to the sides of the face can help reduce swelling. After the first day, gently rinse with a warm salt water rinse, approximately one teaspoon of salt in an eight ounce glass of water, three times a day. You may have some sensitivity following treatment with tenderness around the gum and restoration for a day or two. If the tenderness or sensitivity lasts longer than this, please contact our office. If anesthesia is used, avoid chewing, biting, and eating until the numbness has worn off. If you have a temporary placed, eat softer foods and avoid foods that are particularly crunchy, chewy or hard. If the temporary restorations become loose or break, please call us immediately.